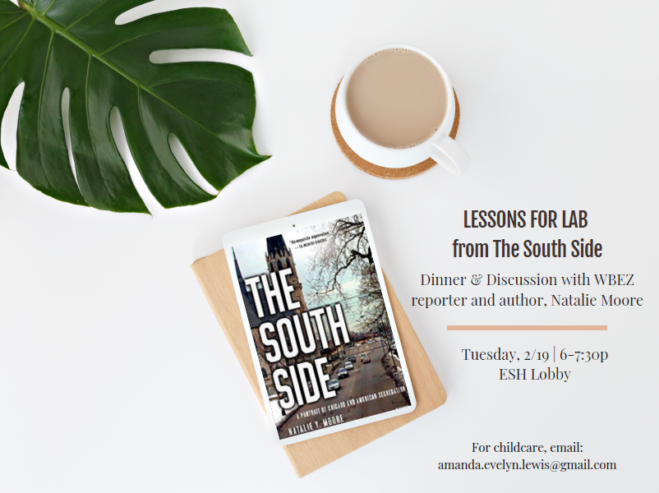 Parents and Teachers, please join the PA Diversity, Equity, and Inclusion Committee for an intimate conversation with Natalie Moore about her book, The Southside. Dinner will be served and child care will be provided. If you need child care or have any questions, please email Amanda Lewis.